With some churches now embracing and promoting homosexuality, there are going to be people who will claim that homosexuality is not a sin. They will try to deceive Christians and lead them away from God. For Christians in the modern world, it is imperative that they stand resolute and ready to defend their beliefs with a full understanding of the Word of God. 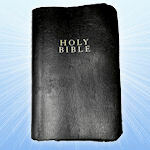 To help defend against lies, I have compiled this list of passages from the Bible that address the evil of homosexuality. Please feel free to add any other passages that you think are relevant in the comments below.